Attorney Stephen L. Jones is a former prosecutor who has successfully defended over 1,000 OUI cases. 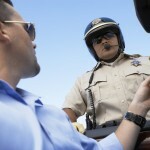 He is board certified in DUI Defense and a Regent of the National College for DUI Defense. Recognized as an expert on DUI defense, Mr. Jones is often asked to share his opinion on the law by the media and has appeared on The Today Show, Inside Edition, and the Discovery Channel. He has also lectured on the subject of courtroom testimony at the FBI Academy at Quantico. If you are currently facing DUI charges in Pennsylvania, please contact Mr. Jones today. Mr. Jones’s team of lawyers can help you contest the loss of your driving privileges and begin preparing a defense for your criminal case. DUI and Occupational Limited Licenses: Who is eligible?